Secret adventures from the world of Infinity Ring. Only in e-book! Only 99 cents! Lulu and her brother, Eddie, don't always see eye to eye. But when an expedition to the South Pole goes terribly wrong, they know they must work together to survive the frozen landscape. It's up to them to locate the diary of a fallen Hystorian . . . before it falls into the wrong hands! INFINITY RING SECRETS is a series of stand-alone short stories blending real history with the action and suspense of the INFINITY RING series. History is broken, and only the secret society of Hystorians knows why . . . and how to fix it. These are some of the stories! 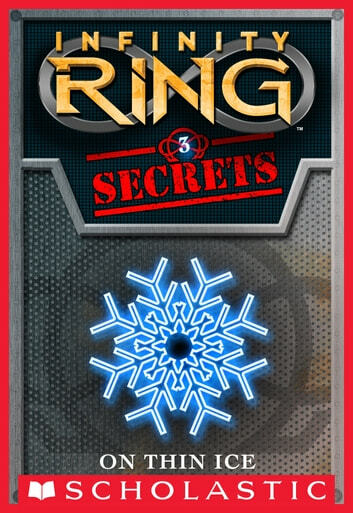 Read all seven digital short stories to unlock an exclusive medal for your INFINITY RING game account at scholastic.com/infinityring.